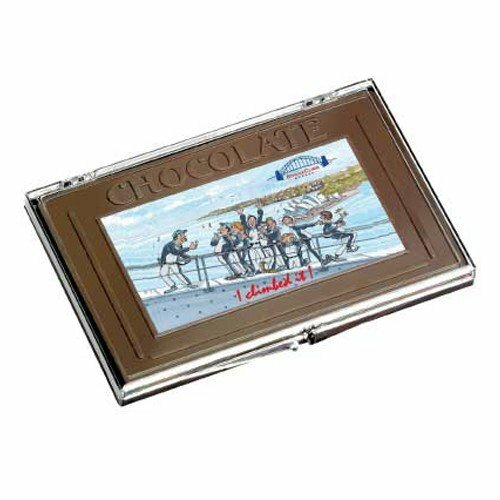 Celebrate Easter in the best way possible with your employees or guests by giving them the branded Milk Chocolate Egg Carton. Stocks aplenty so call now. 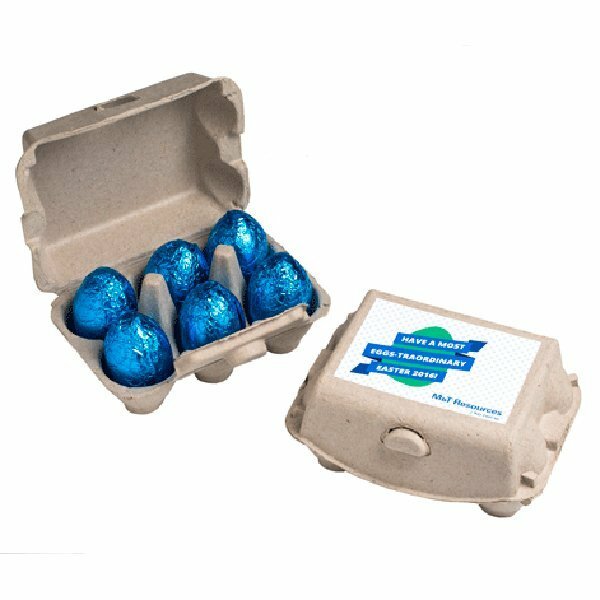 Such a cute idea for your marketing campaign is the eco-friendly personalised Milk Chocolate Egg Carton with six eggs. 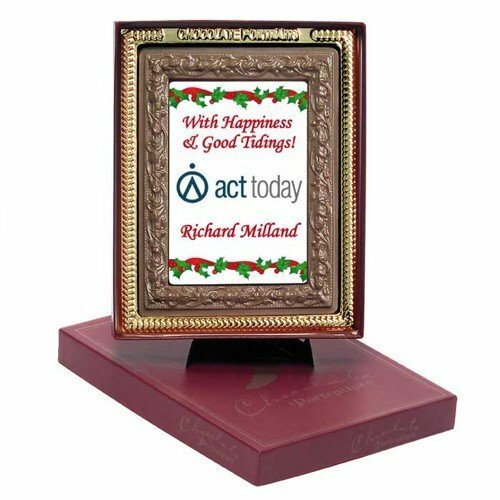 This product is excellent if your company is focused on making an impression while at the same time wanting to be eco-friendly. There is no plastic used in the packaging of this product and the cardboard carton can easily be recycled after use so you won’t be leaving any ecological footprint. Each milk chocolate egg carton is filled with six by 17 grams milk chocolate Easter Eggs. These chocolate eggs not only look good, they also taste very delicious. Open a pack, share with the entire team, and let the party begin. To advertise you brand, simply send us your logo and we can print it in full colour onto a sticker which will be placed on the top of the carton. You’re free to send any creative graphic you want. We suggest that you pair your design with the occasion to maximise impact. It doesn’t have to be limited to Easter. You can use hearts for Valentines, stars and trees for Christmas, and maybe pumpkins for Halloween. Really make your branding stand out by selecting the colour of the foil. Choose from Royal Blue, Cyan Blue, Red, Green, Gold/Yellow, Pink or Purple. This is the perfect way to promote your brand on any season. Another cool way of packaging personalised Easter Eggs for a gift is our promotional Mini Solid Easter Eggs Coloured Noodle Box. These are available in lots of colours and are packed full of mini solid Easter Eggs. Another complimentary promotional product that could very well be on your shopping list are the custom printed balloon range we have over at our Fast Balloons website. Perhaps begin with the popular promotional emerald green balloons. Do visit us when your done shopping here. It’d be great to see you again very soon. Do you need some assistance with placing your order? Call us now and talk to our Customer Care Team, they will be more than happy to walk you through the process. Easter will be over before you know it! Place your order today to ensure you don’t miss out. Simply call 1300 008 300.